A preliminary. I did not expect, nor did I desire to write, (yet) another post on the Philosophical Gourmet Report. I thought it probably best for philosophers to ignore the PGR and watch it pass quietly into the night, unloved and unwanted. For those who find its prestige-driven myopia to their liking, I would just say, go with God. But then I saw the notice for the new PGR on the Daily Nous. I looked at the site, and while I managed to avoid being turned to stone, what I saw was in some ways more disturbing than PGRs of the past, this time all dressed up in a new web suit. I worried that younger people, people unaware of the well-documented problems with the rankings, might find the new PGR on the internet and innocently consume its results. I felt an obligation to address at least a few of the problems with the new iteration, problems which are manifest in the editors’ description of what the PGR has to offer, as well as the in the constitution of the new Board. The PGR is back, boasting a shiny new website with conspicuous ads from Wiley Blackwell. Leaving aside its financial benefits (for Wiley Blackwell, for Leiter’s blog, for faculty and departments at well-ranked programs), at some level it’s just strange that we keep getting updated PGRs, for there isn’t much that changes between the reports. As the PGR site notes about the current PGR, “the results were remarkably stable from prior years.” And you can check out how little change there has been between the 2006 PGR’s overall rankings and the current survey in an analysis done by one of the co-editors of the PGR, Christopher Pynes, here. As a matter of fact, you can go back to Leiter’s original PGR, discussed here, to see how little has changed regarding the overall rankings of so-called the top tier schools in the last 20 years later. Seriously, can the most recent PGR pass a basic pragmatic test? Is there, between versions, a difference that makes a difference? But this time around it may require fewer posts and less effort to highlight the problems with the PGR. Leiter and company have given us a gift here, namely, a new Board that in many ways encapsulates the provinciality, the insularity, and the other general limitations of the PGR. One of the new Board’s important functions was assisting in the selection of the current evaluators. Here is how this activity is described on the PGR site. The new Board had a serious responsibility here, nominating people to serve as evaluators, half of them. Since one of the criticisms of the PGR has been the lack of intellectual diversity among evaluators, letting the Board nominate half of the evaluators certainly looked promising, even if the other half is coming from the past pool. So let’s take a look at this new Board. 13 received their graduate degrees from schools that are in the top 10 in the new PGR’s overall rankings. 2 in the top 20. 1 in the top 40. For those outside the U.S., two received their doctorates from Oxford, one from the Sorbonne (now teaching at Pittsburgh), and one from Munich. Oxford is the PGR’s top ranked UK school, and #2 in the English-speaking world. The European schools are, of course, unranked. This, however, reflects the current rankings. What if we were to look at the PGR in the past? Thanks to the work done by Christopher Pynes, this is easy enough, so after a little back-to-the-futuring, here are the results, attesting to the remarkable stability of the PGR. 12 received their doctorates from the top ten schools in the 2006 PGR. 3 in the top 20. 5 received their doctorates from Princeton (and at least two others went to Princeton as undergrads, including Leiter). That’s almost 1/3 of all the Board members with U.S. doctorates. Three programs, Princeton, Pittsburgh, and Michigan, provided 11 of the 16 members of the Board with U.S. doctorates, or 56% of the Board. Okay, let’s not give up yet. Maybe among the four new people, which includes Leiter, the PGR editors made a real effort to achieve a diversity of background. 2 of the new Board members received their degrees from Princeton. [a]ll programs in the top 50 in the U.S., the top 15 in the U.K., and the top 5 in Canada and Australasia from the prior survey were included in this year’s survey. Based on this and past year results, we have reason to think that no program not included in the survey would have ranked ahead of these programs. Other programs evaluated this year are listed unranked afterwards; there may well have been programs not surveyed this year that could have fared as well. Full stop. Yes, you read this correctly. Someone–or some group–decided which programs would be evaluated this year based on the previously ranked top programs. And someone–or some group–decided, and will in future decide, which few additional programs may get a shot at their place in the sun in PGRs to come. Criteria, anyone? Well, if you have already made it, then you have made it. You are included by virtue of having been in the top in the past. There’s a criterion for you! (Perhaps we should let the wealthy 1% determine the economic policies for the country in perpetuity, since they have already proven their mettle, just like the members of our top tier schools.) Are we at the mercy here of Leiter and the two current co-editors going forward in determining which departments get a chance at being ranked, or does the Board decide, you know, that Board with the wonderful range of training? Speaking of criteria, as we have noted in the past (here, for example), the editors appear, again, to have provided no guidance about the criteria evaluators should use to produce the overall rankings. I am not making this up. Here is a statement on this from the current PGR. And yet, remarkably, even with possible different mixes of criteria–somehow, year to year–the overall rankings don’t change much. It’s miraculous. Or it’s confirmation bias run amok. Or perhaps they provide an objective presentation of the quality of departments. But here’s the thing. Even if the latter were true, the PGR’s methodology doesn’t permit this assertion to be warranted. Please. Are you really going to suggest that not mentioning the names of departments, but listing their faculty, is going to prove beneficial, as if doing so would lead to a more impartial evaluation? On the contrary. It may further distort the results. “Top” departments will be immediately recognized, but others won’t be, leading to relatively lower scores for them. Why? As the PGR notes above, “surprisingly tough to say what I think, without the institutional halo effect front loaded.” Result: halo effect city for the PGR. Why has this title been dropped over the years? It’s obvious that this is in fact what the PGR is. 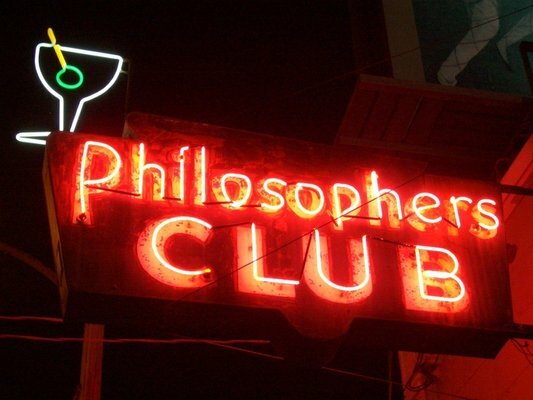 Virtually no departments that do continental or American or non-western philosophy, which aren’t primarily analytic departments, make it into the top tiers for the overall rankings. The unfairness and bias here are palpable. And yet one modest remedy, calling the PGR what it actually is, eludes the editors. Why, indeed? This report ranks graduate programs primarily on the basis of the quality of the tenured faculty in analytic philosophy, though some weight is given to the following factors as well: (i) age of faculty (since very good but very old faculty do not make for an attractive program from the standpoint of prospective students); (ii) breadth of faculty; and (iii) quality of junior faculty.